MV & Sons Forklift Training Services Ltd is happy to announce NPORS Rear Tip Articulated Dumper training course in our fully equipped site in Suffolk, between Ipswich and Norwich towns. We now have facilities where private individuals can come to our site and be tested by our accredited instructors on a REAR TIP DUMPER TRUCK. Courses duration is 1 to 4 days. Training duration will depend on candidate’s previous experience. EWT (EXPERIENCED WORKER TEST) is available to be carried out in 1 day for experienced operators. Our fully equipped training centre with scaffold towers, rough terrain, slopes and inclines, theory rooms, will enable operators to learn how to operate these machines, just like it would to be on a busy construction site. For this reason, they get the advantage to learn how to use machines in all types of work environments. Please note we also deliver on site training courses at your premises please ask for details. Don't wait give us a call now and get your NPORS Rear Tipping Dumper truck licences now with MV and Sons Training Services Ltd.
MV and Sons forklift training services LTD offers NPORS accredited Rear Tip Articulated Dumper training course in and around Essex and Suffolk covering all the major towns: Ipswich, Norwich, Chelmsford, Colchester, Southend, Basildon, Romford, Ilford, Newmarket, Harlow as well as neighbouring Cambridge, Kent, London and Northampton areas with easy access from the M25, M11, A127 and A12 and A14. 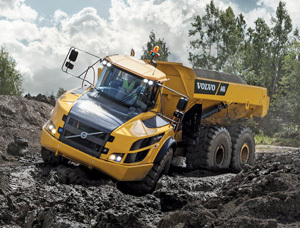 NPORS ARTICULATED REAR TIPPING DUMPER TRUCK TRAINING COURSE IPSWICH AND NORWICH! NPORS Rear Tip Articulated Dumper courses can be delivered in your own language. MV and Sons Forklift Training Services specialises in having their own instructors from different countries: Polish, Lithuanian, Russian, Romanian, Hungarian. Rear Tip Articulated Dumper courses available. Please ask for more details. Polish and Lithuanian languages are also spoken!